If you've been wondering about best practice for voice rehabilitation, you've come to the right place. I've recently been featured on Speech Science Podcast talking all about voice rehabilitation from evaluation, to treatment to discharge. Looking for the Save your Voice Week Freebie after following the InstaStory with me (@kristie_voice) and Rebecca Reinking from Adventures in Speech Pathology? Kristie Knickerbocker, of A Tempo Voice Center, sat down to educate Matt on the wide world of voice therapy. Kristie speaks on how to avoid surgery and the importance of Videostroboscopy when it comes to identifying voice issues. Kristie speaks about the proper way to conduct an evaluation and what tools a therapist should have in his or her tool box. She also breaks down the difference between Polyps, Nodules, and Cysts. Kristie Knickerbocker from A TEMPO Voice Center sits down for part 2 of her trifecta on voice. 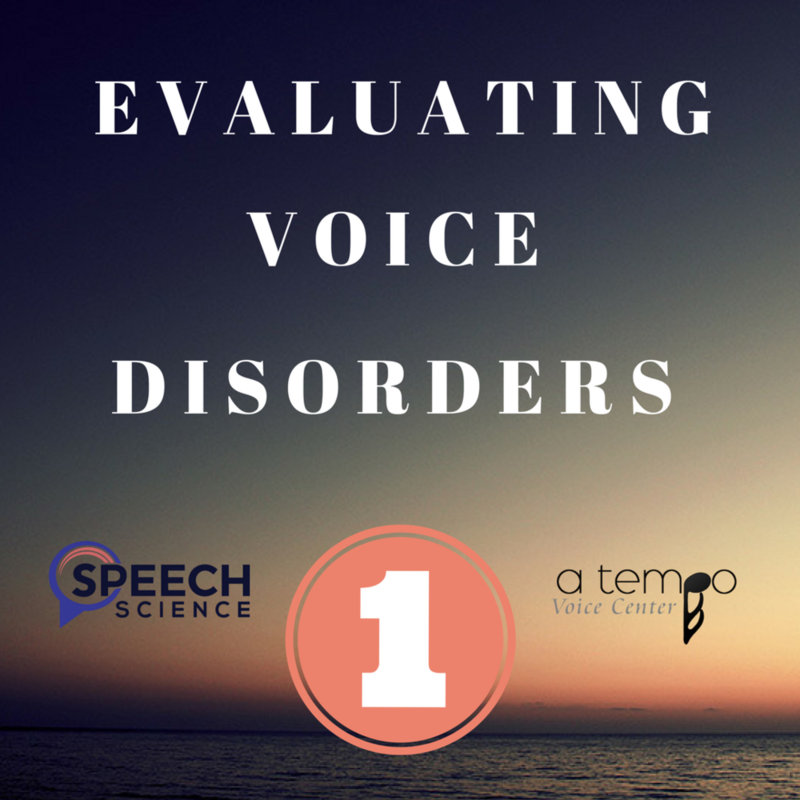 This week the treatment of voice disorders in and out of the clinic. Kristie speaks about the essential tools to carry in your voice treatment kit and how to use them. The importance of objective data and requesting for appropriate referrals and how it impacts therapy is discussed. Also, how long should you see a patient? 4, 8, 24 sessions? Kristie explains her theory and motto behind this. 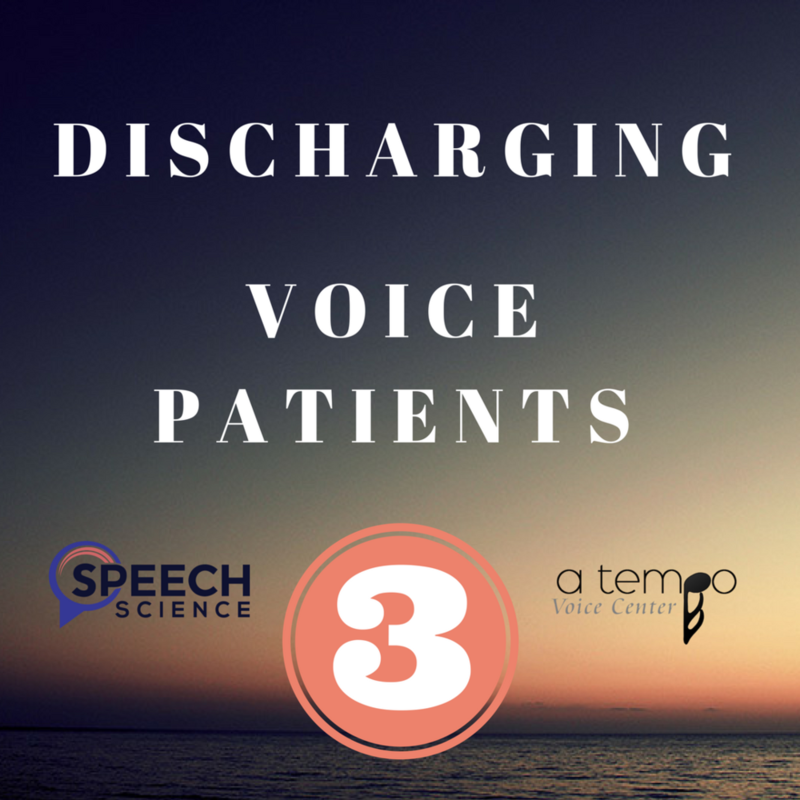 Kristie Knickerbocker from A TEMPO Voice Center sits down for her Return of the Jedi of Voice Podcasts in part 3 discussing the discharge and maintenance of a good voice. This week, Kristie gives information on how to protect the vocal folds during Halloween and what causes the Halloween workers to lose their voice. Kristie answers questions about how long should you keep a patient? (Hint, your 12-18 visits is way too long) What are some good carry over exercises? Can we bill and keep a patient for maintenance?